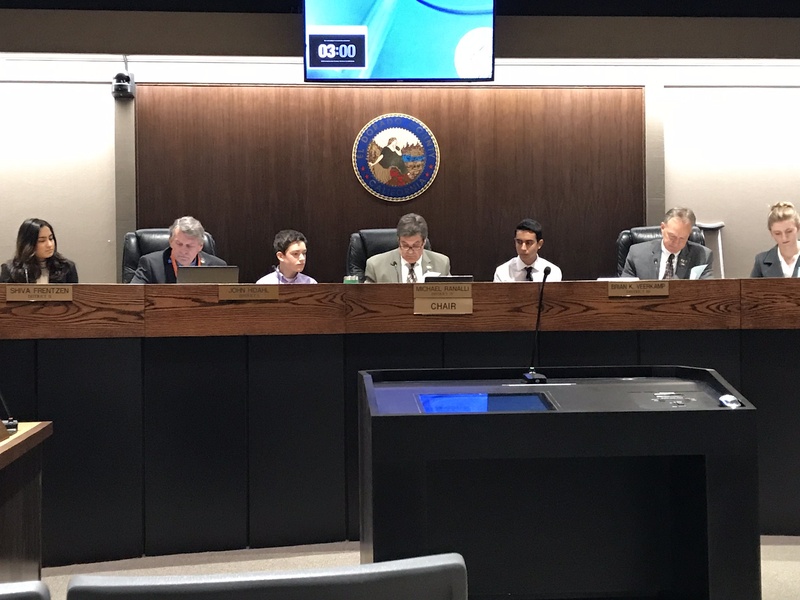 On Monday, January 8th, the El Dorado County Youth Commission participated in the annual Shadow Day, in which Youth Commissioners join the County Board of Supervisors during one of the Board’s regularly scheduled meetings. The students gained valuable insight into how local government operates, how the Board manages issues and policies, such as a public forum, appointments by the board for a variety of commissions and committees, and how to run a formal meeting. Youth Commissioners observed the selection of a new chair and reports from several government agencies. 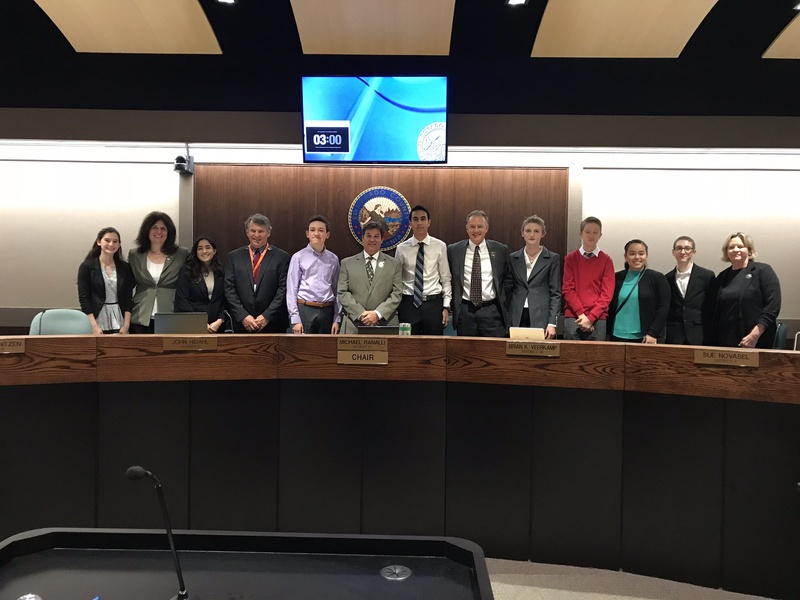 Each year the County Board of Supervisors works with the County Office of Education to appoint interested high school students from all over the county to the Youth Commission to engage students in local government. Through the program, students gain valuable leadership skills as well as being able to share the perspective of youth regarding local issues. The Youth Commission’s mission is to help identify the needs of El Dorado County youth and communicate those needs to their representatives at the local level.